I accepted Jesus Christ as my Lord and Savior when I was 11 years old. Since then, I’ve struggled with knowing whether or not I was truly saved and with understanding whether or not God is actively involved in my daily life. Pastor Greg helped answer the first question: I know that I’m saved because God saved me. It has nothing to do with what I’ve done or how I feel. God sent His son to die on the cross for me and I have repented of my sins and accepted Him as my Lord and Savior. It’s a done deal. My first awareness of God acting in my life is through a woman named Norma Clark. 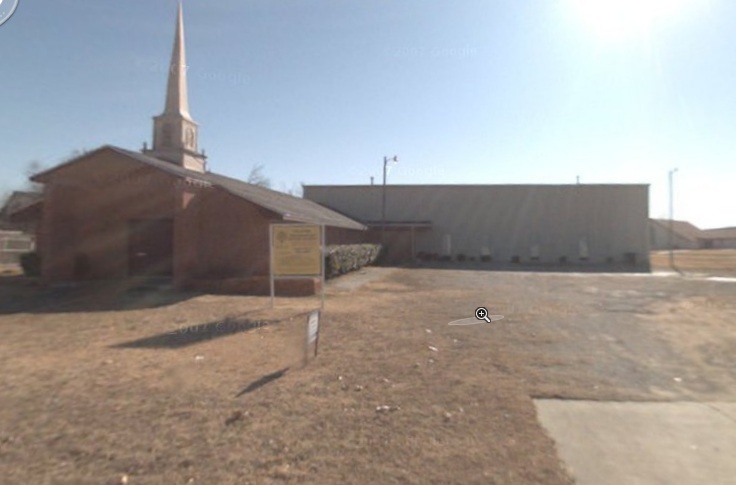 Anyway, Norma attended Calvary Baptist Church in Moore. It’s on the East side of town. Twelfth Street is here, I-35 is here and if you go all the way to the East side of town, Norma lived a couple of blocks north of Twelfth Street and the church was a couple of blocks south of Twelfth Street. It didn’t take her any time at all to get to church. So, the church had planned a Pack a Pew Sunday night and whoever brought the most people would win a Ryrie New Testament Study Bible. Norma wanted to win this Bible, so she asked Dad if he would bring his family to church that Sunday. So, Mom, Dad, my brother and sister and I all went to church that Sunday. But then, the Sunday after that, Norma drove all the way across town, from her house, to our house to pick me up and take me back to church. Now let’s think about this. Norma lived all the way over on the East side of town. She had to get on Twelfth Street, drive all the way past the railroad tracks and the Interstate to Janeway and then all the way up to Northwest 23rd Street – and then all the way back to Calvary on the other side of town. Norma kept doing this every Sunday until Mom and Dad decided to start taking the family to church themselves. My Mom accepted Christ on April 23, 1983. A few months later, the church held a revival and I accepted Christ on the last day — Friday, January 13, 1984, just a few days before my birthday. My brother and sister soon accepted Christ as well, and then later, my grandmother. Norma’s willingness to go out of her way, to do a small thing like take me to church every Sunday, has impacted for Christ FOUR GENERATIONS of our family. You can’t tell me that God isn’t working in my life. Oh – remember that study Bible that Norma wanted to win? And she gave it to my mom. I read this and was doing good until I got to the end of your story. Does your mom still have that bible? That was an awesome act of kindness. I was also saved at a young age, and like you have struggled with not knowing for sure. Yes, God knows everything about us and wants us to have a relationship with Him. He is very interested in our lives, He already knows our next thought, actoins, you name it, He knows. Nothing surprizes God. Yes, there is not a doubt in my mind now, I know I’m saved. If you ever start wondering again, STOMP THE GROUND AND TELL SATAN TO GET LOST!!!!!!!!!!! And yes, I believe she still has that Bible. I’ll have to take a picture of it next time I’m at her house.